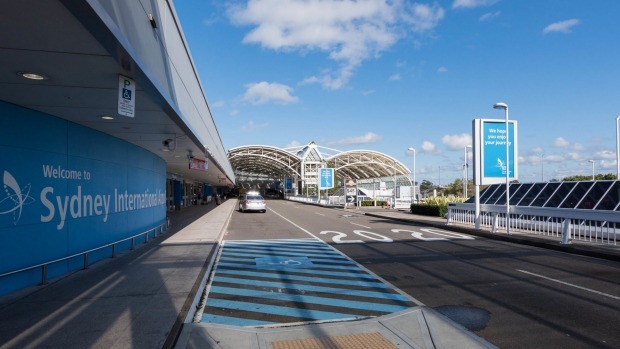 There's a rail link to Sydney Airport – but the expense is a killer. Why would you take public transport when it's cheaper to take a taxi or Uber? That's the reality for anyone travelling from the city with more than one person in their party. Thanks to the "station access fee" of $14.30 charged to use the airport train stations, a one-way journey from Central Station costs a whopping $18.70. Double that and you've easily got your cab fare. 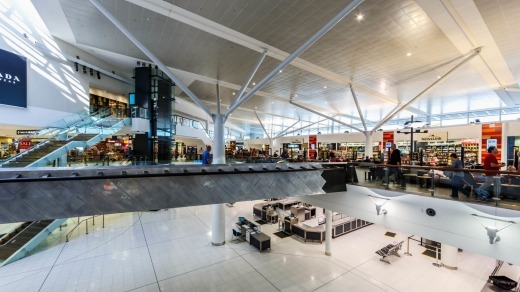 Sydney's Terminal 1, its international facility, has been treated to numerous renovations in the past decade, and now appears, if not finished, then at least static. 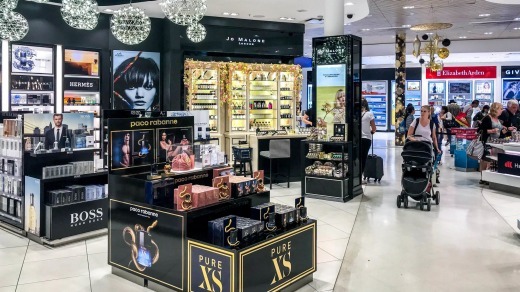 The focus of recent tweaks seems to have been on the shopping experience, which begins the minute you're spat out of security straight into a giant duty-free store. The airside of the terminal is looking sharp though, with a spacious food court and plenty of luxury stores (with no one in them). I'm travelling with a baby, so wasn't able to check-in online, which results in my standing with said child in a painfully slow queue to get rid of my bags and grab a boarding pass. It's a good 25 minutes before I'm on my way. No dramas here: I'm ushered into a special line for parents with infants, stamped and sent through to the baggage scanners in no time. There's plenty of food available at SYD these days – at a food court landside, and two food and beverage areas airside – but is it any good? I've sampled plenty of the outlets and I can say that, mostly, it's not. The meals at Kitchen By Mike are hearty and delicious, if fairly pricey. Aside from that you're looking at average sushi, tepid Thai, or the usual line-up of burgers, burritos, kebabs and salads. There are seven airline lounges in SYD, including one, the Skyteam Lounge, that allows paid, single-entry access. There's also free Wi-Fi throughout the terminal, a "light and hydration studio" offering light-therapy facial treatments (whatever they are), plus public-access showers both land- and airside. SYD also has three hotels at various price points within striking distance. Did I mention the duty-free shop straight after security? This is a sprawling facility that's built to ensure every passenger is forced through a maze of cosmetics, electronics and alcohol before they can enter the terminal proper. It's seriously annoying.